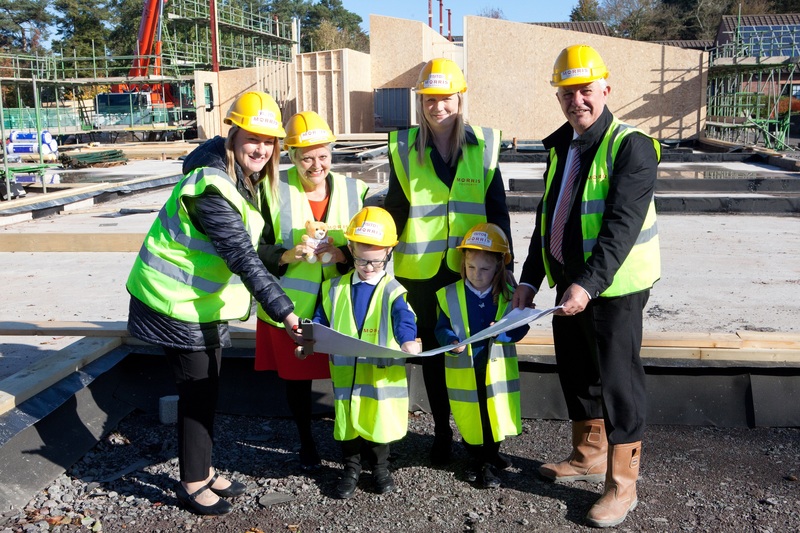 Work has started on a £3.2m expansion at a Telford school to deliver new classrooms, a nursery extension and other improvements to meet an increased demand for places. Shrewsbury-based Morris Property won the contract for Ladygrove Primary School in Old Office Road, Dawley, and is expected to complete the work by the end of July 2019. The project involves building a single storey block of five classrooms, a nursery extension with entrance area, a hall, toilets, and office space. The existing kitchen at the school will also be removed and replaced with a much larger one. Externally there will be an enclosed soft play area provided at the rear of the nursery. Additional car parking and paved areas will be created within newly landscaped grounds. The extension will replace two former demountable classrooms and an area of out of use grassland. The facilities are needed to cater for new homes being built in the school’s catchment area. They will enhance the school’s function and enable the increased number of pupils to learn and play in a safe and open environment. Construction Manager Steve Flavell at Morris Property said: “We have completed a number of projects for schools throughout Shropshire and are delighted to be awarded this major scheme which will enhance the school and meet the demand from local families. The extension is being built to accommodate the school’s increased requirements of 150 extra pupil places – increasing the school’s roll to 420 for the main primary school and additional nursery places will be created. Up to 13 new full-time jobs will be created as a result of the extension. Councillor Shirley Reynolds, Telford & Wrekin Council’s cabinet member for Education, Employment and Lifelong Learning, said: “Telford is the fastest growth point in the West Midlands, which is great for businesses and jobs. We are constantly working to ensure that we met these demands, we consider changes in population and provide excellent educational facilities for new families. Ladygrove Primary head teacher Jo Weichlbauer said: “This is a very exciting development for both the school and the community and we are looking forward to the work being completed and welcoming all our new pupils. The Ladygrove project for Telford & Wrekin Council is one of several carried out by the Company for the Council. It has also built commercial units at Hortonwood West Industrial Estate and is to start the second phase of an expansion and refurbishment scheme at Telford Snowboard and Ski Centre in mid-August which will update the ski lodge. Morris Property is part of a fifth-generation family business working in property investment and management, new build residential and commercial developments and restoration schemes. For more information about Morris Property and its services, visit www.morrisproperty.co.uk.